Michele's Hide-Away Screen is proud to me an active member of our community and always strives to give back to those organizations and causes that better our communities. We are all friends and family and a strong community helps everyone! Below are links to some of the charities, causes and organizations that we proudly sponsor. Please take the time to learn more about these great organizations! Habitat for Humanity of Marion County, Inc. is part of a global, nonprofit housing organization operated on Christian principles that seeks to put God’s love into action by building homes, communities and hope. Habitat for Humanity of Marion County, Inc. is dedicated to eliminating substandard housing locally and worldwide through constructing, rehabilitating and preserving homes; by advocating for fair and just housing policies; and by providing training and access to resources to help families improve their shelter conditions. Habitat for Humanity was founded on the conviction that every man, woman and child should have a simple, durable place to live in dignity and safety, and that decent shelter in decent communities should be a matter of conscience and action for all. 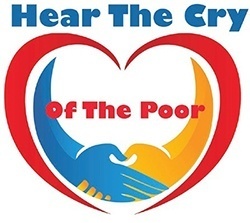 The mission of Hear the Cry of the Poor is to provide support to help the homeless become independent. By offering professional case management staff to work at Project HOPE and Open Arms Village, the homeless will move toward self-sufficiency. For more information please contact Father Pat Sheedy at 352-629-8092.